Last season has not been a fantastic one by Barça’s own standards, irrespective of the Catalan club completing a domestic treble for the fifth year in a row. Barça have seen their 146-game unbeaten streak in the Liga ASOBAL snapped by Granollers, but the most painful moment was the loss against Montpellier in the VELUX EHF Champions League Last 16. Montpellier went on to win the European premium competition, but Barça felt like they could have been in the French team’s shoes. A new challenge is looming, however, and there is no time for resentment. - What did Barça learn from last season? 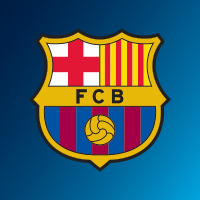 While Xavi Pascual has been in charge for the past nine seasons in Palau Blaugrana, the side from Barcelona have never exited the VELUX EHF Champions League earlier than last season. There have been plenty of reasons for Barca’s demise last season, but the Spanish champions should have learnt what went wrong and fine-tuned the issues. It will help having Aron Palmarsson from the start of the training camp, while future superstar Dika Mem extended his contract with the Spanish outfit until 2024. With the addition of Ludovic Fabregas and Casper Mortensen, Barça look stronger than last season, at least on paper. - Did Barça clear up their defensive woes? Barça’s undoing last season was not the attack, which thrived even without Kiril Lazarov and Filip Jicha, but an underwhelming defence. The Spanish champions dozed off at times, which also happened in the games against Montpellier, which saw Barça out of contention in the Last 16 phase. The transfer of Gilberto Duarte is clearly a statement of intent in this direction, as Xavier Pascual pointed out the defensive versatility of the Portuguese player. - Will there be enough hunger for success? Winning the treble in Spain looks to be the norm for Barça, therefore all eyes will be on the Catalan side in the VELUX EHF Champions League, with their achievements in the European top competition setting the mood for a successful season. In this case, with young players like Dika Mem or Ludovic Fabregas, the motivation should be sky-high. Moreover, Victor Tomas or Raul Entrerrios, already proven veterans, still look sharp. The Palmarsson saga ended in October 2017 with Barça agreeing to pay Veszprém for the Icelandic playmaker’s transfer. But Palmarsson missed the preseason and the first two months of the season, which translated into a hard adaptation in Barça’s roster for the Icelandic playmaker. With a few months under his belt already and a full preseason with Pascual’s side, Palmarsson will be roaring to go, with the dual-threat back becoming the diamond in an already stellar line-up for the Spanish champions. Barça have been an integral part of the VELUX EHF Champions League in the last decade, therefore their objective is to always stay on course for the VELUX EHF FINAL 4 in Cologne. After a disappointing outing last season, the pressure is higher on Barça to perform this time. Yet the path to earn a berth between the top four teams in the competition is still difficult. There will be no shortage of drama for the Spanish champions in their quest for perfection. They will face once again Vardar and Rhein-Neckar Löwen in the group stage, while title holders Montpellier will also add spice to an already star-studded group. “The groups in the Champions League are never easy. Groups A and B are really tough and we know that those coming from below, such as last year with Montpellier, we saw what they can do. Nobody will have it easy in the group, we have the utmost respect for everyone,” added Pascual. Before last season, Barça had missed the VELUX EHF FINAL 4 only twice - in 2012 and in 2016. Both times they bounced back strongly the following year. Presumably, the plan is the same this time, with the Spanish outfit looking for their seventh appearance at the LANXESS arena in Cologne. It would mean an all-time record, surpassing THW Kiel’s six participations.